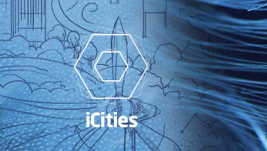 The iCities is designed conceptually based on studies related to the recent issue of Smart Cities in Brasil. 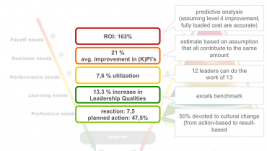 Recent research on leadership transitions found that nearly 40% of internal job moves made by people identified by their companies as “high potentials,” end in failure. 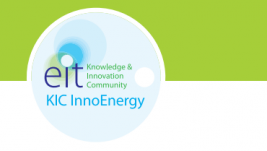 KIC InnoEnergy is a European company dedicated to promoting innovation, entrepreneurship and education in the sustainable energy field by bringing together academics, business and research institutes. 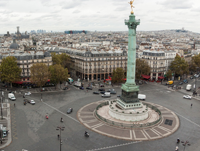 In December 2015, the City of Paris began installing sensors in one of the busiest traffic circles in the city – la Place de la Nation. 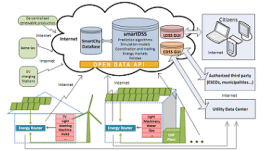 These sensors will measure noise, traffic, and air quality, and communicate the results in real time in Open Data, on the Paris Open Data Portal, powered by OpenDataSoft. 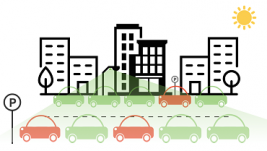 IBM experts are helping to unravel the traffic problems that have afflicted Brussels, with the company awarding the Brussels-Capital Region a Smarter City Grant valued at half a million US dollars. 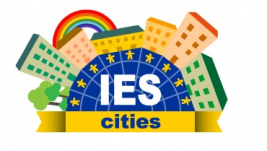 The city will use the funds to investigate ways of improving mobility in Brussels. 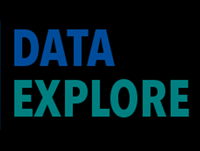 The main objective of this project is to continue and expand the one single portal for all transport research related information conducted at European and nationals levels. 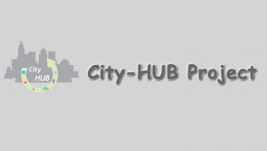 City-HUB aims to make existing urban interchanges accessible to all users. 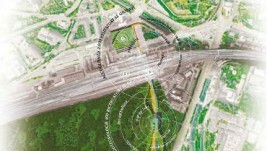 The approach is integrated, covering the different aspects of an urban interchange in order to increase the use of public transport, improve the efficiency and propose a new business model. 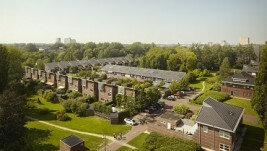 The project Power Matching City is putting the “Smart Energy Citizen” in control of fine tuning his energy demand towards the fluctuating supply of energy from sustainable sources Simultaneously user centered cooperative projects like Grunneger Power have raised the awareness and organization level of citizens in the generation of sustainable energy. 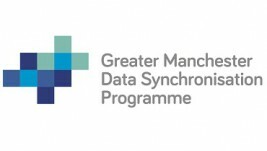 The Greater Manchester Data Synchronisation Programme was created to enable local government and public bodies in Northwest England to identify, model, transform and release data as linked open data, for use by local government itself and the wider community of citizens and businesses. 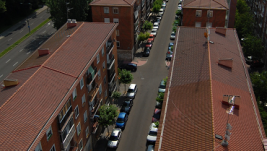 Analysis and dissemination of smart cities project, in which two geographers -GEOCyL partners-, rode for eight weeks 30 cities belonging to the Spanish Network for Smart Cities – RECI – using an electric vehicle for their mobility. 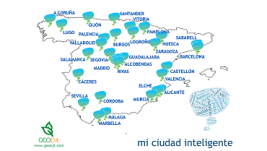 30 days to analyze 30 Spanish cities using as intelligent thread of the project, the experience aboard an electric vehicle in urban areas. 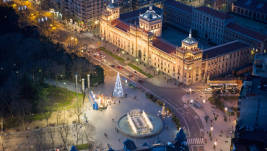 “Coruña Smart City” project has been conceived with the objective of improving the quality of life of residents as well as the financial and business environment through technological innovation, positioning Coruña as a management reference for cities of the future. 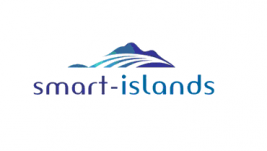 The SmartSantander project aims at the creation of an experimental test facility for the research and experimentation of architectures, key enabling technologies, services and applications for the Internet of Things in the context of a city. 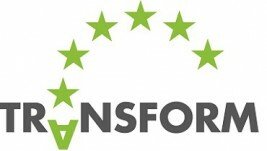 The envisioned facility is conceived as an essential instrument to achieve the European leadership on key enabling technologies for IoT, and to provide the European research community with a one-and-only platform of its characteristics, suitable for large scale experimentation and evaluation of IoT concepts under real-life conditions. 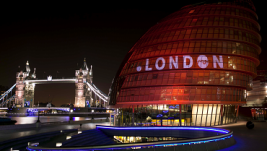 The Plan focuses on what City Hall will be doing between now and the end of the Mayoral term – to which all of London are asked to contribute to and support. The Smart London venn diagram depicts the starting approach that puts Londoners at the heart – driven by the principles of transparency, collaboration and innovation. 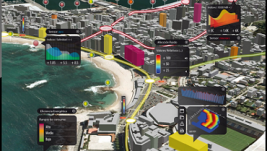 Adopting new approaches, through bringing people, technology and data together, will enable more integrated solutions to addressing London challenges. 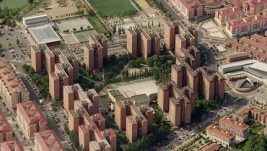 City planning deals with the concept of “smart”, the ability of a city to develop at the highest level the potentialities of its citizens and of its resources towards a collective wellbeing. 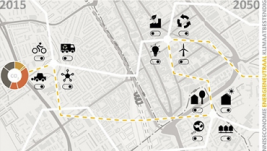 The aim of Verona smart city is to encourage planning and social collaboration towards this direction. 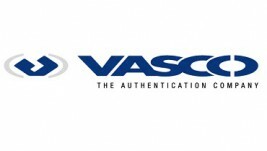 DIGIPASS is VASCO’s renowned technology that replaces weak static passwords with dynamic passwords that have a limited validity. Fraudsters can thus not reuse an end user’s password at a later time. 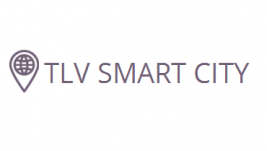 The Tel Aviv Smart City Lab, a global centre of excellence in urban innovation. 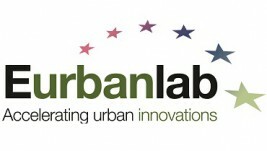 A place where cities, businesses and universities come together to develop solutions to the future needs of our cities. 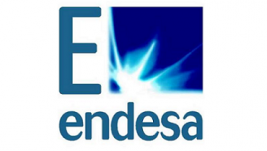 Endesa’s Smartcity Málaga Project is Europe’s largest eco-efficient city initiative. 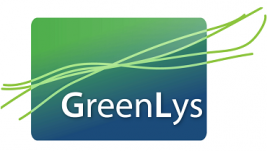 It aims to increase energy efficiency, reduce CO2 emissions and boost the use of renewable energy sources. 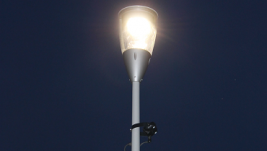 The zone has around 11MW of renewable generation capacity, which includes numerous roof-mounted photovoltaic installations spread throughout the city, a cogeneration facility, vertical-axis wind turbines and generation systems integrated in street lighting. 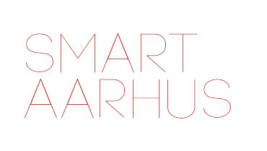 The projects within Smart Aarhus all aim at developing the city and creating a framework for sustainable growth. 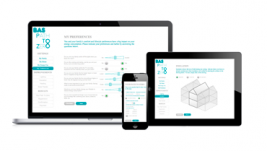 And the projects are based on the Smart Aarhus principles. 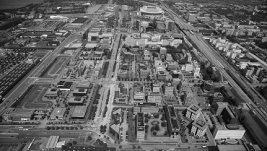 A wide range of public and private organizations and citizens have been (and are still) involved in specific projects. 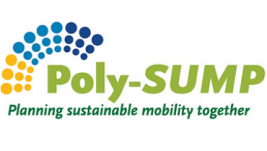 The project will initially focus on mobility. 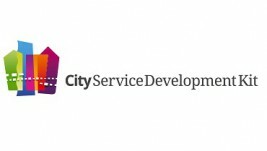 City infrastructure and public services – such as bus networks, parking lot management, paper and waste collection, and information on roadwork – will be connected virtually, providing local residents with real-time information. This will make it possible for citizens and visitors to the principality to interact with local government directly and without red tape. 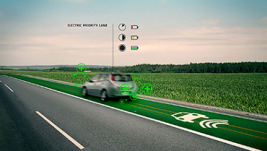 In Amsterdam and Lochem a Vehicle2Grid a Vehicle2Grid pilot program will get started. 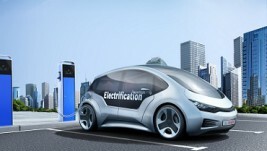 Residents will be able to use the battery in their electric car to store their locally produced energy. 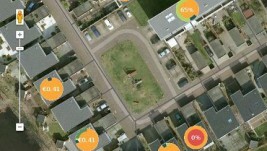 Residents will be able to decide how to put their locally produced energy (i.e. from solar panels) to use. 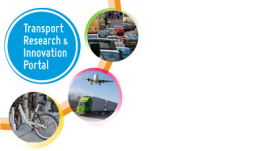 Peterborough in the East of England is the UK’s fastest growing city with infrastructure, issues and scale that are common across the UK. 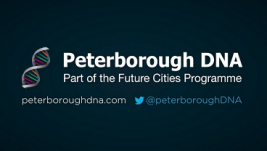 The city and its Peterborough DNA programme were awarded £3 million in March 2013 to develop and test innovative ideas and new technologies for how smart, future-proofed cities could work. 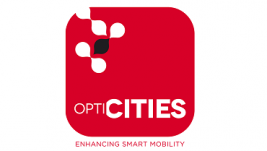 The consortium includes 6 city authorities (Grand Lyon, Birmingham, Goteborg, Madrid, Turino, Wroclaw), major ITS actors: research institutes, information service providers, car industry (HaCon, Spie, CityWay,Volvo) and the most important networks of European cities and international public transport operators (EUROCITIES, UITP). 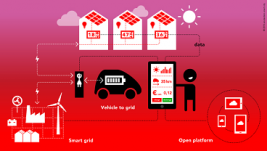 You have the possibility to share your project with Smart Technology professionals around the world! 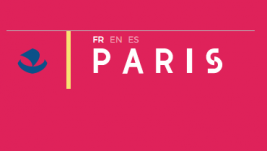 We would like to invite you to contribute to the Smart Circle Projectbook by sending us your project information.